The MAGAK event started in 2007. Sponsored by Kathie and Malcolm Grant, it comprises one days coaching followed by a 3-day open event. 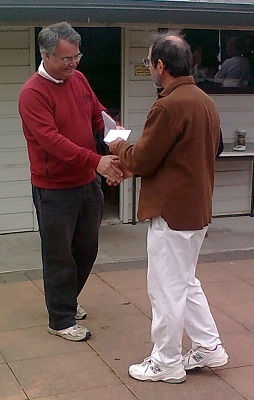 This years event was held in the South Island for the first time at United. 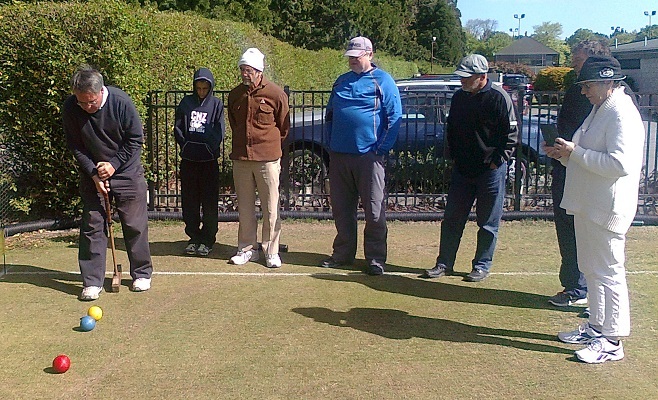 Jenny and Chris Clarke provided the coaching on Friday and then 16 players ranging from -4 to 6 played a swiss event with prizes in different handicap ranges on Sat to Mon. The temperature varied from 22 to 8 degrees and the lawns were running around 10-11 seconds until Mondays rain. Jenny Clarke was fast out of the blocks, recording a number of triples, but suffered a defeat to Peter Couch, who after taking 4.5 hours to beat a Tony O’Donnell (handicap 6) in the first game, managed to complete a tpo to beat Jenny. Elsewhere, Richard Kimberley reached 5/5 before dropping a game to Geoff Duckett and Kathie Grant moved into contention on 3/4 after beating Jenny. Ed Cunningham was playing plenty of games and had just two losses, so was another possible winner. 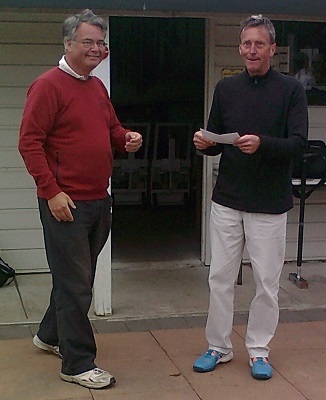 Losses for Peter and Kathie on Monday morning meant that only 3 players could win. Richard played Jenny in the final round and sealed his biggest ever tournament win to finish with 7/8 and take $700 in prize money. 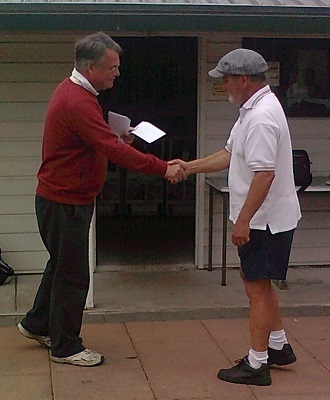 Geoff Duckett was runner-up with 6/8. Best 0 to 2 was Peter Couch. 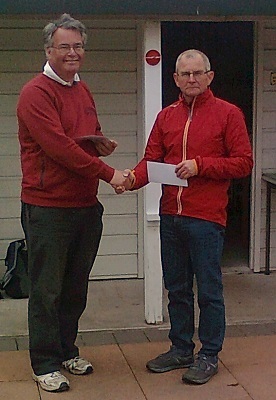 Best 2+ was won by one of the higher handicap players, Ian Campbell who played particularly well during the event. 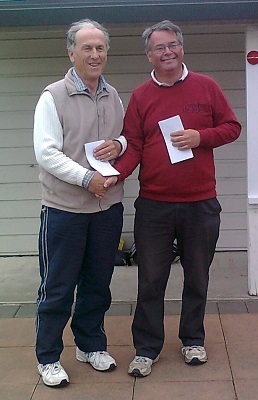 Graeme Fisher won the prize for most points gained on handicap card not to win another prize. Many thanks to Kathie and Malcolm for bringing this great event South. For those of you on mid handicaps thinking about whether to play in some open events, I’ll finish with a comment from Ian Campbell, one of the highest handicap players “thank you for urging me to enter the tournament this past weekend. I wouldn’t have given it a second thought as being out of my league“. Most index points gained not to win another prize ($150): Graeme Fisher. Full game results are on Croquet Scores (opens in a new tab/window).